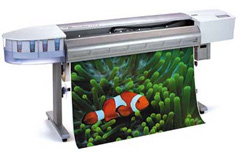 Superchrome, a pioneer in digital printing, is specialized in offering photo printing canvas services, creating replicas of your original artwork onto quality stretched canvas or any material as per client specification. With our photo printing canvas, you get your photographs converted into fine pieces of art, that too without altering or changing the feel and look of the original. Superchrome’s photo printing canvas services are applicable for a variety of sizes and shapes. Our high quality photo printing on canvas has several superior aspects such as its heavy-duty and hardwearing property, stretchability, UV resistance, ink-receptive and custom framed property and being available in any required size. Our photo printing services include photo retouching and restoration, photo printing and enlargements, red eye elimination, blemish and wrinkle free outputs, photo stretching and framing and more. If you are worried about the longevity of your photos, then Superchrome’s photo prints on canvas can guarantee years of durability for your favorite pictures and treasured moments, made possible through our innovative digital technologies and superior printing capabilities. We use dye-based, water-soluble, pigmented, lightfast, UV resistant art inks with large color ranges ideal for fine art reproduction. We work with a variety of canvas like matte decor canvas, artist canvas, satin stretch canvas, simulated canvas, premium canvas, and cotton-polyester blended canvas. We print photos from digital cameras, computer-generated graphic files, and traditional photos. We can also convert black and white photos or those that have been yellowed. To increase the fade resistance of the print, all our canvas prints are printed with UV enhanced pigments. Each photo is created on supreme quality artist grade canvas and enhanced with water resistant property for protection from fingerprints, moisture and other environmental damages. Give us a try, and discover the amazing photo prints we have in store for you. Enjoy our quality service in photo printing on canvas; contact us by phone or e-mail us as soon as possible. If you would like to know more about photo printing on canvas, any of the projects shown or if you want to discuss any project you have coming up then contact us 020 7237 9333 or fax 020 7237 9444 or email sales@superchrome.co.uk. Our experienced personnel would be able to guide you appropriately.